If you’re looking for a cheap holiday then be sure to check out the fab deals over at Jet2Holidays at the moment, like this cheap week in Portugal at just £802 for a WHOLE Family of 3, other party sizes are also available just adjust the search requirements to suit your needs. The family-run Fili Apartments are in a peaceful location where days can be spent relaxing by one of the pools or on the nearby sandy beach. This is an ideal spot for re-charging your batteries and making the most of the glorious sunshine and whether you prefer to stay put for your meals or head out to the resort centre the choice is yours. 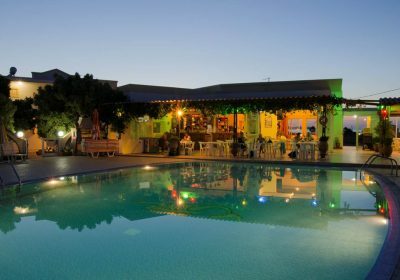 The lovely friendly atmosphere and the spacious garden areas make it perfect for couples and families alike.